The big day that thousands of people were looking forward to has finally arrived. Dr. Emmett Brown and Marty McFly have arrived to the future – which is now the present. It is no doubt that the Back to the future trilogy was one of the most memorable movie trilogies from our childhood, even John Lajoie praised it in its song Regular Everyday Normal Guy II. Since our office is a great fan of the movie we try to contribute in our own way and take a look at which remarkable devices are available today and where did the movie go wrong on predictions. We have to wait a little more for flying cars though a lot of devices seem to be complete by now. 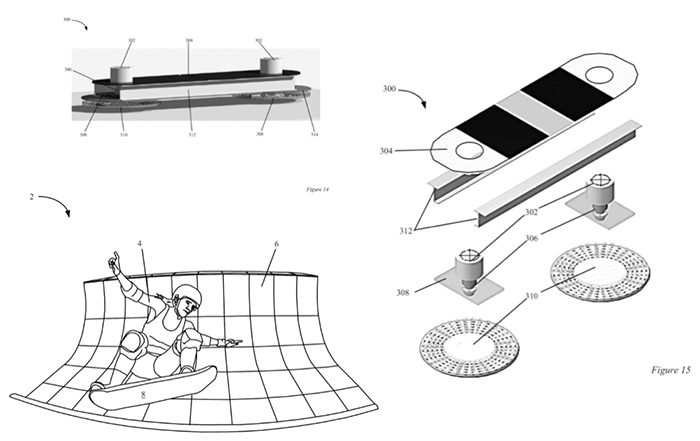 Certainly one of the most epic inventions shown in the movie was the Hoverboard.The original patent description is available via this link. It is not yet available for the general public, but many companies are trying to develop and perfect their own brand. 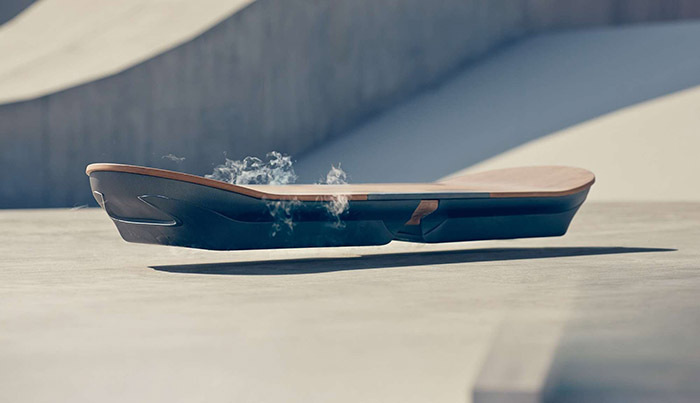 The Lexus version of the Hoverboard. Description here. The self-tying Nike shoe – officially called Nike MAG – was a remarkable idea as well. The traditional version (with shoe ties) was released in limited amount (1500 pairs) back in 2011. The automatic version was promised to arrive this year, they may be released today. Nike was granted a patent to this invention. (Application files are available here.) The exclusive rights were given in the USA and Japan, the examination procedure is still underway in Europe. There are similar patent claims regarding self-tying shoes from 1998, 2002 and 2005. In addition there is a Chinese application from 2013. The European Patent Office did not issue the patent certificate as a result on the questionalbe novelty requirement deriving from those applications. The moving dust bin seems to be drawing nearer as well. Minour Kurata (Japanese) is responsible for developing this useful object. The dust bin equipped with sensors won an award at the Japaneese Media Arts Festival, though the device is currently not for sale. There is a video on how the device works. There are some minor wrong predictions made by the creators and two technologies that could not have been foretold at that time. Who uses a fax anymore? 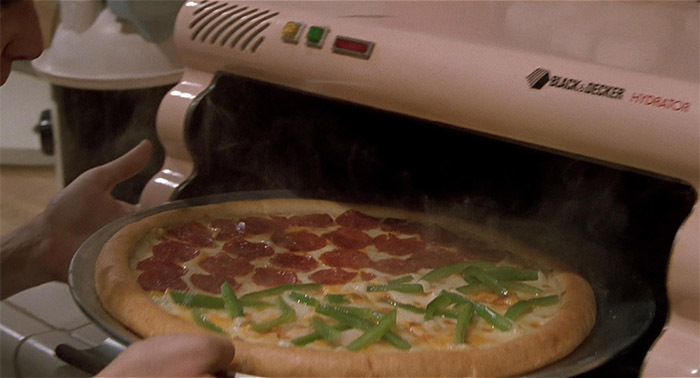 Also we still haven’t met the pizza hydrator technology, though we could really use one. The wide use of internet and smart phones is missing. These two tendencies are an interesting shift in technology. Looking back on the movie we could say that the creators overestimated the pace of technological improvement, though this is true for all movies trying to predict the future.